If you walked into a business in Southern California at the turn of the 20th Century, you encountered a world of unique and attractive hand-painted signs. The technology was limited in those days. Business owners had to depend on talented artists with the ability to understand marketing and advertising concepts, but over time, this became a lost art. In fact, most sign companies don’t offer these services today. But at Dave’s Signs, we recognize the importance of hand-painting signs, and there is still a place in 21st Century marketing for this timeless art. Here are some examples to prove this point. 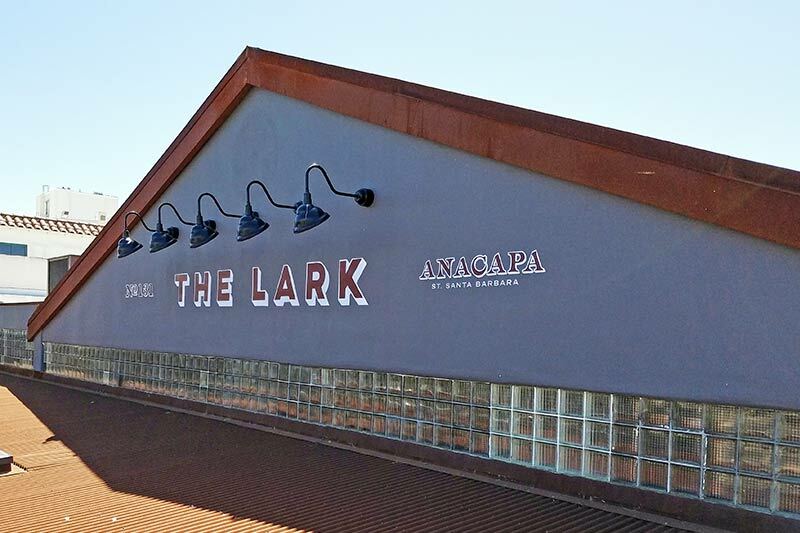 The Lark Restaurant is named after a historic Southern Pacific Railroad Pullman train that served the area from the first part of the 20th Century until the late 1960s. It’s located in the Fish Market building, and the business reflects the retro atmosphere of the arts district known as the Funk Zone. What better way to preserve the past than with historic hand-painted letters (on the building exterior) with classic barn lighting? There’s no other way to superimpose beautiful artwork on brick walls than with hand-painted signs created by artistic people that understand the lost art of working with their hands. Toppers Pizza in Channel Islands Harbor is a perfect illustration of signage that is as beautiful as it is unique. We did similar work for Finney’s Crafthouse & Kitchen, located in Westlake Village. Dave’s Signs can design and create just about any kind of custom signage you can imagine. From hand painting to printed graphics, your signs can be totally unique and effective. To see some of the amazing work we can do for you, check out our custom graphics sign gallery or call (805) 641-1387 today.